Some teachers are very professional and friendly as well. But some teachers are not good at teachings. An overall crowd of the college is very good. There are so many feet in the college from time to time which make you feel delighted. Location wise education wise this college is best you can meet every expectation from this college. Management is great but I think about the staff near the main gate office should be more smooth with their work rather than making students run from one place to another to get just a signature. overall the college is very good in every aspect. management, teaching, extracurricular activities, societies and all. Good is everything in college exept blackboard in college, it should be turned into smart board and projectors. 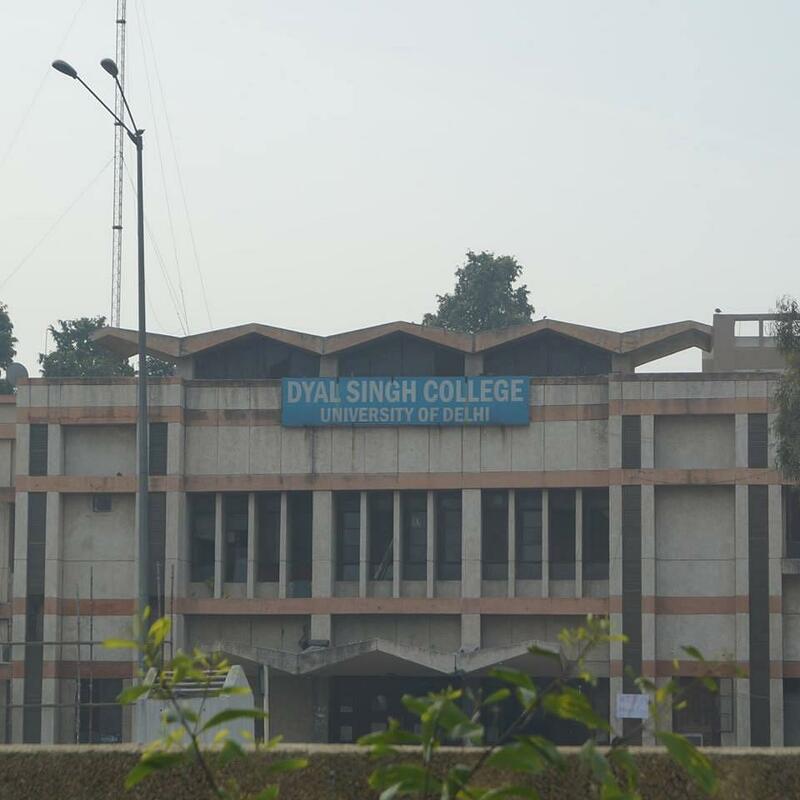 Dyal Singh College is a co-educational college which owes its origin to the generosity and foresightedness of Sardar Dyal Singh Majithia, founder of ‘The Tribune’ and ‘Punjab National Bank’ who willed his wealth for the establishment of an education trust. 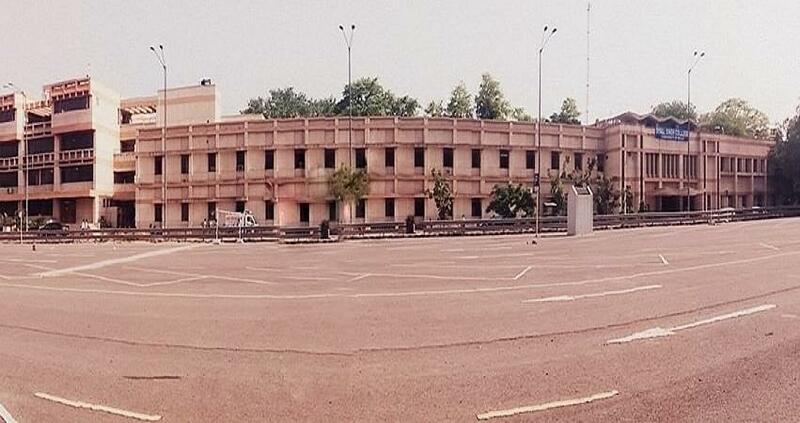 The college is a constituent unit of University of Delhi and centrally located in the vicinity of the Lodhi Gardens, JLN Stadium, Humayun’s Tomb and many others. Since its inception the college has carved a niche for itself by becoming a premiere institution offering high quality of education. The college strives to create a conducive environment for students to gain insight into their academic pursuits so that the students are more employable and to provide sports and extra-curricular activities for the overall development of the students. Why to join Dyal Singh College? Training and placement cell: The placement cell of the college strives to provide strong placement linkages so that the students from the college could get good jobs matching their abilities and skills and making them employed. 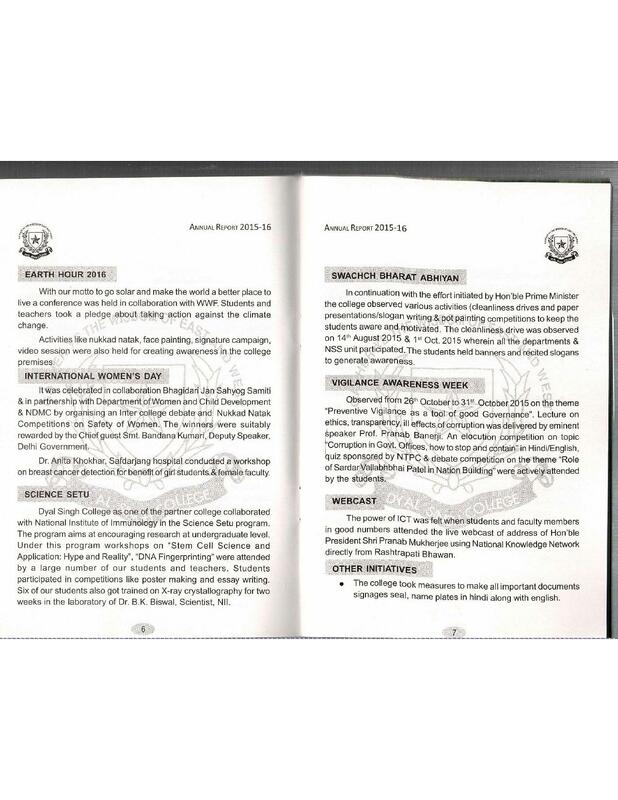 Awards and Achievements: The college has been selected as one of the centres for evaluation of scripts of University annual/semester examination. The college gives several awards to the students for performing best in academics which also boosts the morale of the students and inspire them to perform more. Researches and Projects: Various researches are ongoing in the college with some of them funded by external agencies like UGC, CSIR, ICSSR etc. 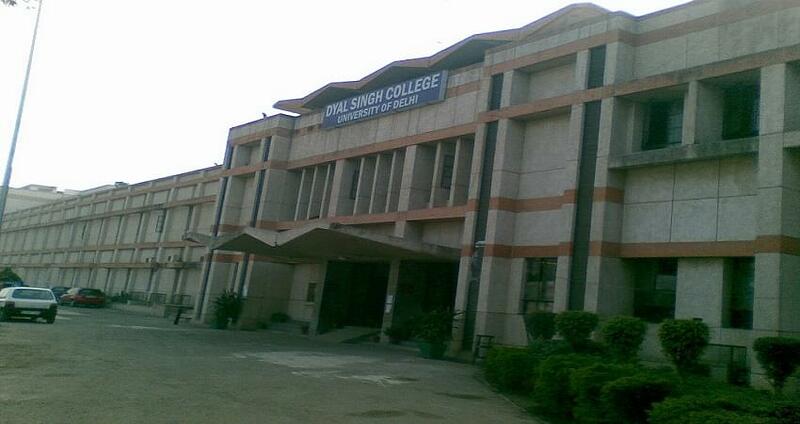 "Dyal singh college full fledged day college "
Because I like the infrastructure as well as the atmosphere of this college. 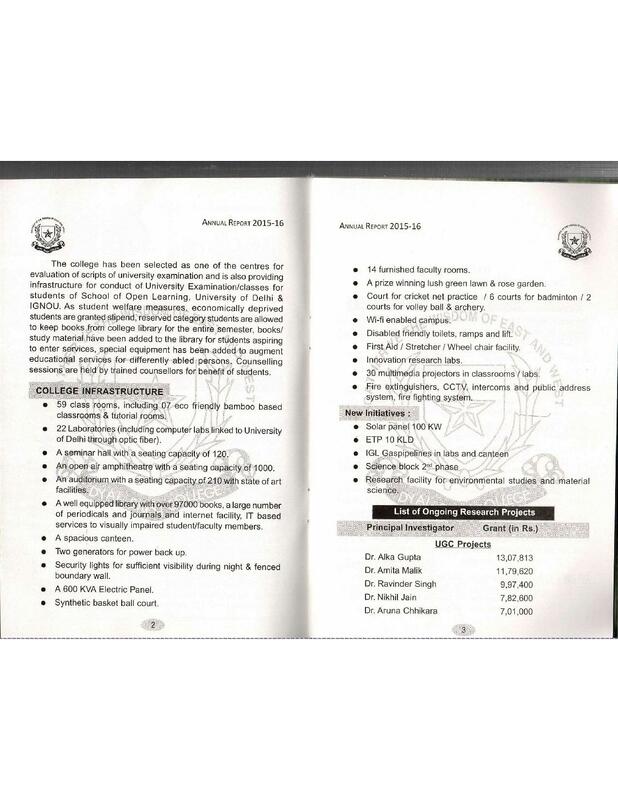 Meanwhile, this college is located near Jawahar Lal Nehru stadium which summarizes its environment as well as safety. 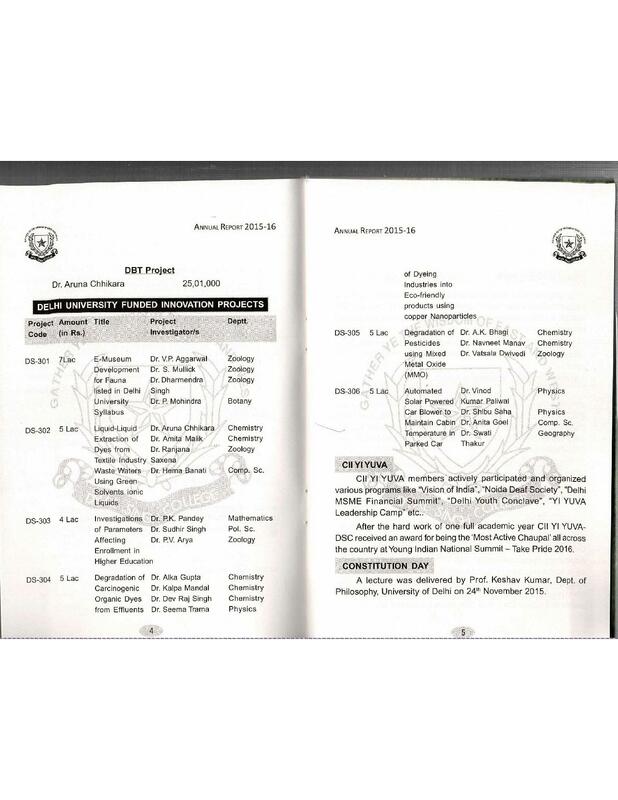 The location also consists of ICAI- Institute of chartered accountants of India. "Good college of University of delhi"
Its a reputed college of the University of Delhi. I got 93% in my twelveth standard and this was one of the best colleges available for me. I looked for other colleges also but to be honest its far better than many other colleges of Delhi University and since its a morning college its value is more. Best location near jln metro station. And bus routes are so simple and near a college, there is lots of historical places to visit and national investigation agency and many police residents there like Itbp, cisf, swat, Bsf and many more. College faculty is great. Canteen is awesome.